The Johnson brothers farm in Floyd County where they grow corn and soybeans and manage a ewe flock and feeder lamb operation. The duo are no strangers to conservation and trying new practices. They began no-tilling soybeans over fifteen years ago and have nearly ten years of experience strip-tilling corn. Other conservation methods they have employed on their farm include buffer strips, prairie CRP, pollinator habitats, field windbreaks, a pheasant safe program and cover crops. Ben began using cover crops in 2013 when a wet spring delayed planting on hundreds of acres until it was too late to plant a cash crop. Not wanted the fields to remain empty all year, Ben planted oats and radishes for the first time. As to why he does it, Ben explained, “I want all my black soil still on top of my hills and not at the bottom of all of them, not in my road ditches and not in the Cedar River.” Within his no-till system for soybeans and strip-till system for corn, he found that using cover crops helped control erosion and improved organic matter and overall soil structure. 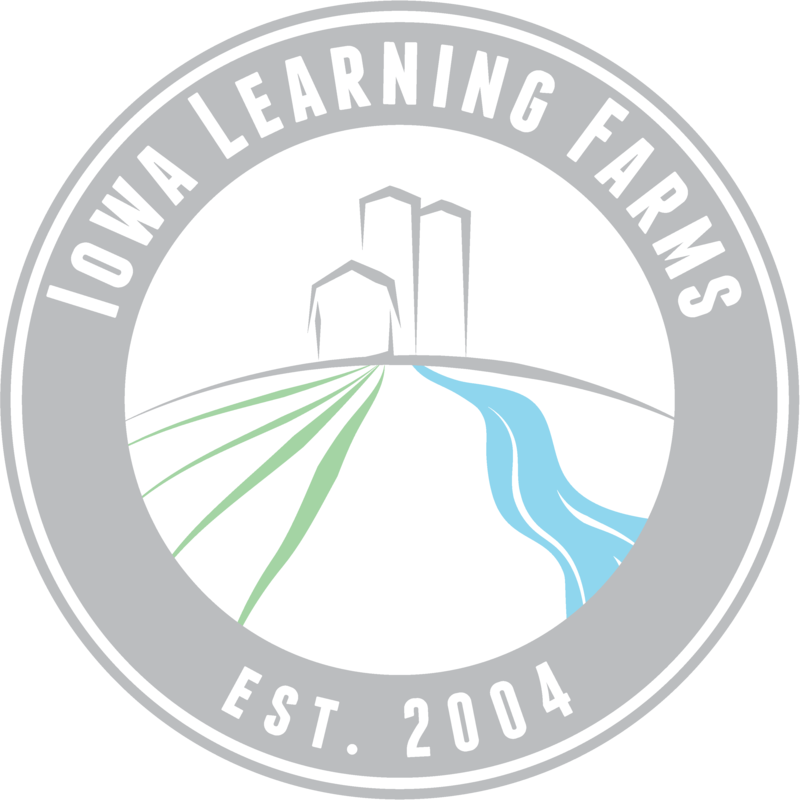 In 2016, Iowa Learning Farms approached Ben and Andy to be a part of a new Conservation Learning Labs* (CLL) project that is studying changes in nitrogen and phosphorus loss at the delivery scale. The Johnsons farm near an existing Conservation Reserve Enhancement Program (CREP) wetland in Floyd County that has measured water quality for about three years. Using the CREP wetland monitoring system, the project will be able to measure changes in water quality after cover crops are planted in the project area over the next three years. The Johnsons agreed to participate in the CLL project, and in fall of 2017 they seeded cover crops on over 54% of the nearby research watershed acres. Ben Johnson and his wife Amy have two sons, Jackson and Riley. Andy Johnson had his wife Abbie also have two young sons, Kyle and Carter. Ben was featured in our Conservation Chat podcast – listen to the episode to hear more about his operation and what drives his conservation ethic. *The Conservation Learning Labs project is funded by the Iowa Department of Agriculture and Land Stewardship (IDALS) and the United States Department of Agriculture – Natural Resources Conservation Services (USDA-NRCS) of Iowa.